Himalayn Balsam and American Skunk Cabbage may sound like the sort of plants you would find in a botany lesson at Hogwarts but the reality is that they are far from magical. These plants, known as Invasive Non-Native Species, are threatening the future survival of some of our native flora and fauna and are causing problems for our native wildlife. This is why in 2012 we, along with The Environment Agency, Hampshire and Isle of Wight Wildlife Trust, Natural England and Dorset Wildlife Trust, formed the Source to Sea Project to tackle invasive species along the entire length of the Hampshire Avon – some 50 miles from the Vale of Pewsey, through Salisbury into Hampshire, to where it flows into the sea at Christchurch. 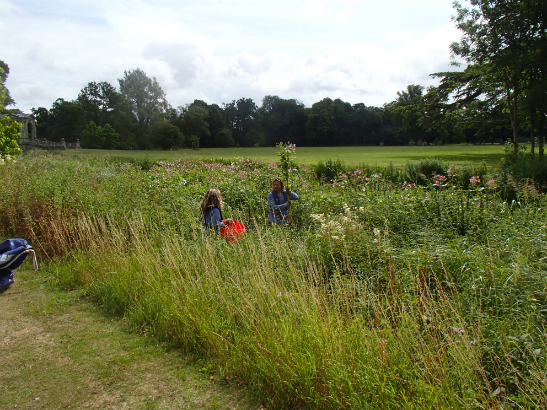 Since then the project has worked with a range of organisations including local fisheries associations, local angling clubs and associations, private companies and landowners to communicate the importance of stopping the spread and control/eradication of invasive species such as Himalayan Balsam. Originating from the Himalayan Mountains, the Himalayan Balsam is a tall, attractive plant with pink-purple flowers and characteristic leaves. It was introduced to the UK as a garden plant in the early 19th century due to its aesthetic qualities but its explosive seed heads have meant the densely growing weed quickly spread throughout the country, particularly along rivers, out-competing native plants. 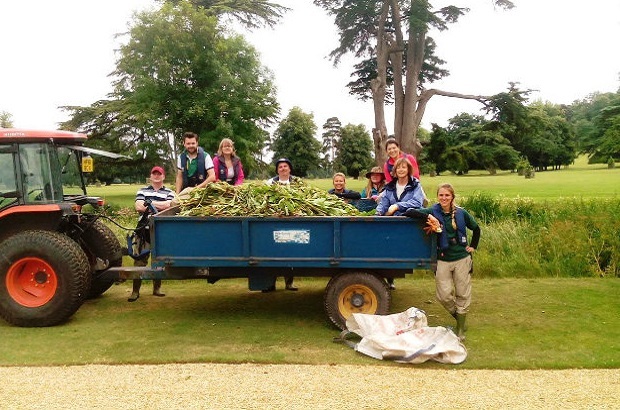 Volunteers have been the heart and soul of the Source to Sea project and to date the project has tackled a tremendous 194km of Himalayan balsam during over 219 individual balsam pulling volunteer tasks. This has totaled 3642 volunteer hours and generated a total value of almost £47,000 in-kind contribution. To date, the project has tackled the 9 main species making a real difference within the catchment. Key target species include Himalayan balsam (Impatiens glandulifera), Orange balsam (Impatiens capensis), Japanese knotweed (Fallopia japonica) and American skunk cabbage (Lysichiton americanus). The Environment Agency and Natural England have been instrumental in the success of Source to Sea, through provided funding, but also supporting the project with their expertise, knowledge and advice as an in-kind contribution.